If you’ve ever had your brows tinted, this can be said for sure that the service is nothing short of life-changing. Eyebrow tinting gives depth and can shape your brows which flatters your face. As eyebrows tint lasts for a couple of weeks it is also much less fuss than filling eyebrows. You can have a consultation with the experienced eyebrow tinting specialist like us in order to discuss shape, length and off course color. As eyebrows tinting lasts for few weeks, it is important to concentrate on finish and look. Eyebrows tinting is a single color fits all and this did scare a lot of people away. Just like semi-permanent hair color, brow tint color is fully customized to suit individual’s need. Even those with dark brows can benefit from a tint to create a shape, while lighter brows will embrace deeper shade. What Does Eyebrow Tinting Do? Eyebrows Tinting in Melbourne city is pretty self explanatory. The treatment includes application of gentle dye to your arches for about 10-15 minute to take them a shade. For little brows in particular, tinting works wonder at grabbing the lighter hairs to result in a dramatic shape. Technically, it is safe. No adverse reactions to the treatment generally takes place and the Indian salon in Melbourne take the extra care to ensure the formula doesn’t come in contact with eye. During application, Vaseline is used to protect the area and create a barrier so that no cream enters the eye. For booting the product is applied with disposable spoolies that were tossed after each service. The beauty professionals also wrap the eye with cool, damp cotton pads to soak up the tint and hence there is no risk factor. Are you dreaming of having darker eyelashes in order to define your facial features even when you are fresh faced and not wearing any makeup? Eyelash tinting in Melbourne CBD is the perfect solution for you. The process of tinting adds a definition to your eyes, ensuring their depth & color. 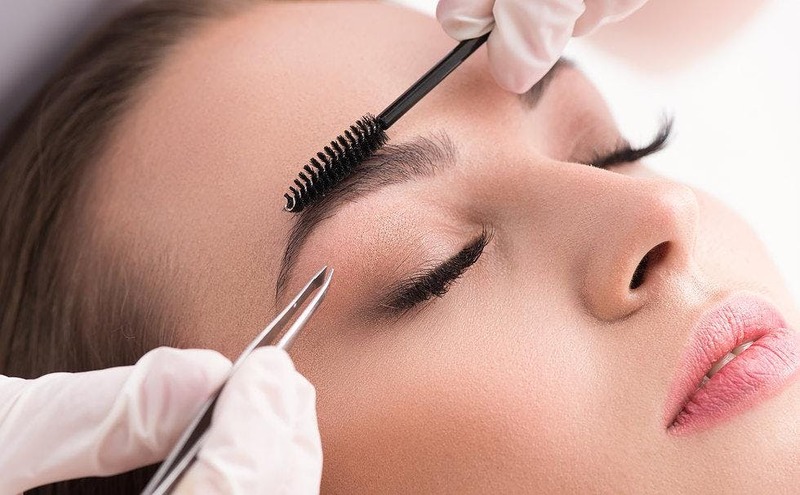 With professional eyelash tinting, you will get the benefit of looking like you are wearing mascara all time, without even taking the stress of applying it daily. We use the dye that is safe for eyes. It can be applied and left on your lashes for just few minutes. Once we rinse it off you will have natural and dark eyelashes that would last for weeks. The treatment seems perfect for those who are sensitive to eye makeup. Unlike shaping or waxing, eyebrow tinting doesn’t involve hair removal. Instead an eyebrow tinting in Melbourne City doesn’t involve hair removal. The tinting is a professional color service that enhances the shape, color and thickness of your eyebrows, creating a youthful look. Our dye is plant based and safe for eyes. Once applied it stays on your brows for few minutes. The treatment appears ideal for those who have fine brows and would like a stronger look.